AHHH! I’m so focused on my digital marketing business that I fell behind on posting about all the wonderful books I’ve read. 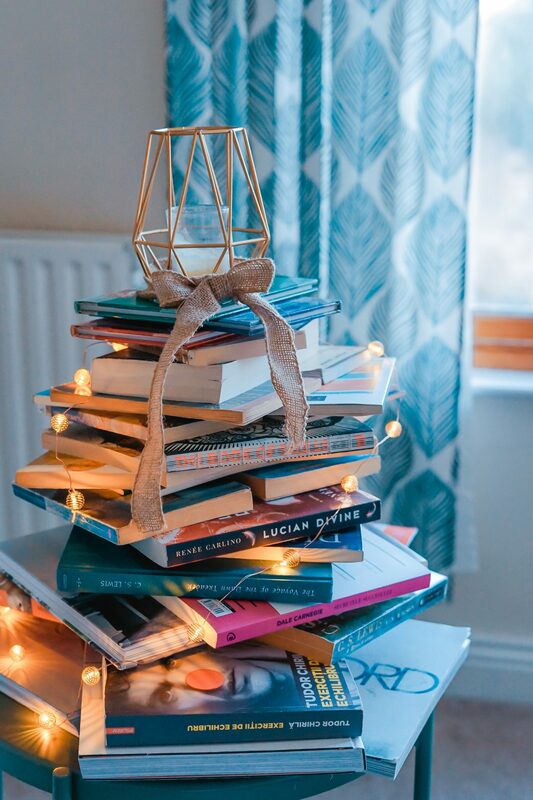 If you need a book to escape to when you feel overwhelmed by the holiday season, head over to the library, bookstore, or whatever and grab one of these reads! This was an awesome read by an author local to me. She runs a meetup and gives authors and inspiring authors “points of direction” (cheesy but I had to) on how the writing and publishing process works. It’s no wonder why Rachel Weaver’s Point of Direction got onto Oprah Magazine’s “List of Ten Titles to Pick Up Now.” It starts off with a woman hitchhiking in Alaska. She ends up falling for a local and they live together in a lighthouse in the middle of the ocean. Both have a story to tell but are keeping it a secret from one another (and the reader!). I thought it started off a little slow. It is one of those books where all juicy stuff comes more towards the end. I really enjoyed it and definitely recommend, especially if you’re going to Alaska! I loved how when I asked for where the Harry Potter books were at the store she pointed me to the kid’s section. I kept seeing the promotion for this movie and the next one is now in theaters. Once I knew it was a JK Rowling book, I didn’t want to see the movie without reading the book. Then I come to find it is an encyclopedia of imaginary animals/beasts. I know the book is always better than the movie, but Hollywood did a good job taking this book and making it a fun family flick. LOVED IT!!! The way Wiseman weaves two sperate stories together was great! I enjoy books that do that because you become the character trying to put two-and-two together. Perhaps I also like books about circuses… Night Circus baby! Again, another book that I heard was becoming a movie. I didn’t pick it up because of that, but because I heard it was one of the most distributing books Stephen King ever wrote. He even says that himself in the book’s foreword. I agree with King. This was a creepy book on so many levels. If you haven’t read it, I highly recommend getting a book or the audiobook that has the foreword. You’ll see exactly why this book hit so close to home with King. This book got a lot of hype so I picked it up. I wasn’t all that impressed. The woman’s fears are validated at the beginning of the book, but the rest of it was sort of bland to me. I wasn’t all that impressed. It’s a good read but didn’t wow me at all. After going through some stuff the past couple of years, I have been trying to become a more spiritual person. I meditate every day and now have incorporated prayer along with that meditation. I grew up Catholic and have said the Our Father a gilzzion times. I learned all about the prayer at school, but this was a good refresher on what it means and why the church prays it. I’m not trying to push the church on you, I just wanted to expand my list and read something different. Even if you’re not Catholic or have ever said the prayer, you might want to give this book a shot. It helped a lot of those, “why me” questions that I know everyone has asked at one point. Meh. It wasn’t for me. I liked the historical fiction telling what it was like for the Chinese immigrants in Canada. I never knew that that was where a lot of people fled to in WWII. The three separate stories didn’t work for me. I would have liked to see them weaved together some way. All three siblings had great stories, but I think I would have had a better understanding if you could see them interact a little bit more. The title was what caught my eye in the bookstore. I just finished up with this one this weekend. This is from the same author who wrote The Devil Wears Prada (which I never read, but probably will now). This time, she follows Emily (Miranda’s assistant), her childhood friend, and a senator’s wife. Like the Jade Peony, she tells the story in each girl’s chapter but it is much easier to put all three perspectives together because she alternates chapters instead of lumping one perspective for a ⅓ of the book. Emily had me laughing the whole time. Definitely a chic book, so sorry men not the right pick for you! I’ve also been putting a lot of time contacting writers for interviews. If you’d like to be featured here in the den let me know! I am always excited to speak with authors and promote their work. I am also available to guide you through the writing process and market your book for a small fee. If you’re interested, please contact me for more details and to set up a free consultation.